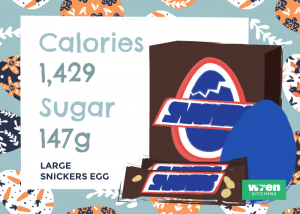 UK’s unhealthiest Easter egg revealed: Which ones should you NOT give your kids? From adorable chocolate bunnies to colourful egg-shaped delights, we’re well into Easter treat season, and the selection is more varied (and tempting!) than ever before. But before you tear the packaging off the goodies the Easter Bunny delivers, it might be worth pausing and looking at the label. 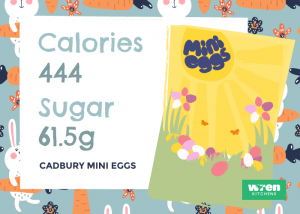 We’ve analysed the contents of some of the UK’s most popular eggs to find out just how many calories and how much sugar we (and our children) are indulging in. The selection of eggs available this year ranges from XS to XXL, and the nutritional contents of each varies across the different brands. 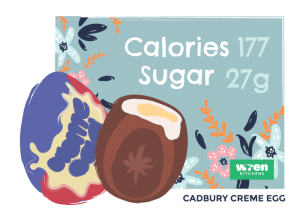 But let’s take a step back from the world of eggs for a moment and look at some of the other Easter treats that hopped onto the supermarket shelves this year. Though they might sound small, if you eat the whole 90g bag of Cadbury Mini Eggs in one sitting, they are actually one of the higher calorie choices! Last year, we surveyed the nation to find out just how much chocolate the average British child could expect to receive from friends and relatives. 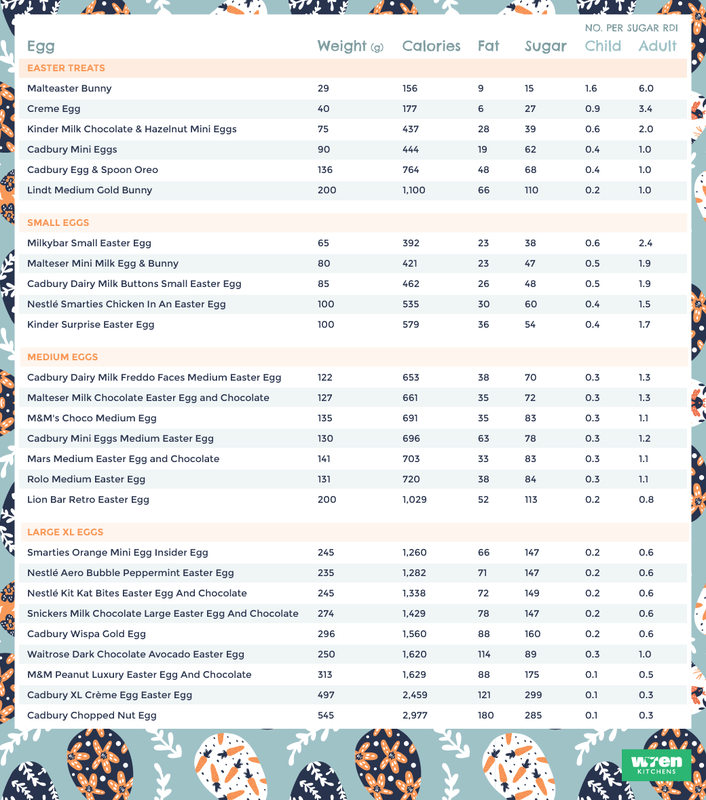 We learned that children are given a wide selection of eggs in small, medium, and large sizes, with the average receiving a total of 13 Easter eggs, plus additional treats. With large Easter eggs offering arguably better value for money (after all, who doesn’t want more chocolate! 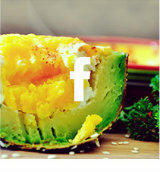 ), smaller Easter eggs are easier to dismiss as simple snacks, rather than a special treat. Every year, certain eggs become must-have items thanks to the likes of social media trends and Good Housekeeping magazine, which ranks hundreds of eggs across various categories. How do these eggs compare to the mainstream choices? 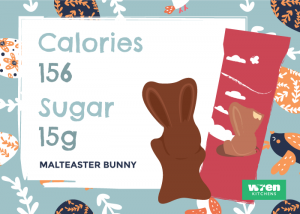 There’s no shame in enjoying chocolate with your family this Easter, but there is a difference between indulging in treats and taking an unhealthy approach to Easter excessiveness. This is something we need to be mindful of when eating and giving Easter treats, particularly when it comes children. Depending on the age of your child, they should only consume between 19g-30g of sugar per day, according to guidelines from the NHS. 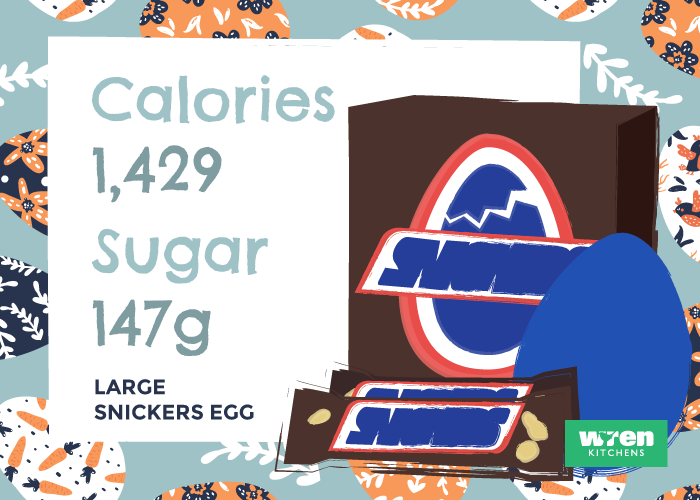 Some of the most popular Easter eggs contain double or even triple that amount. 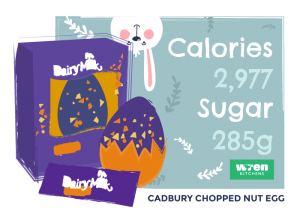 Consider asking the Easter bunny to deliver a small egg (such as the Cadbury Dairy Milk Buttons egg – 462 calories, 26 grams of fat, and 48 grams of sugar) and restricting the amount they eat each day. That way, the chocolate can be enjoyed for longer, and they don’t consume more sugar than they should in one day. And why not enjoy a family day out together over the long weekend? 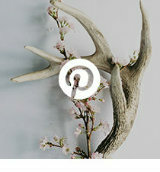 Visit somewhere new and walk around to explore the sights, or even just play games in the park. That way, you’ll all be more active, which makes up for the extra indulgences – and gives the whole family a great opportunity to spend time together, too. Disclaimer: All data is calculated based on nutritional information displayed by Tesco, Waitrose, Natural Collection, and Ocado as of 21/03/18.